Researchers find acupuncture combined with moxibustion more effective for the treatment of painful menstruation than ibuprofen. Across three independent studies, researchers made several important findings. Acupuncture plus moxibustion produces superior treatment outcomes to oral intake of ibuprofen. Acupuncture plus moxibustion is superior to using only acupuncture as a standalone therapy. Acupuncture improves blood circulation and hemorheological characteristics for patients with dysmenorrhea (painful menstruation). Hubei University of Medicine researchers (Jiao et al.) conducted a controlled clinical trial and confirm that the combination protocol of acupuncture plus moxibustion produces superior outcomes to using ibuprofen capsules to control menstruation cramping and pain. Jiao et al. conclude that acupuncture plus moxibustion has a 96.8% total treatment effective rate for the treatment of dysmenorrhea. Ibuprofen sustained time release capsules achieved a 58.1% total treatment effective rate. Acupuncture plus moxibustion outperformed ibuprofen by 38.7%. This is consistent with the independent research of Zhao et al. finding acupuncture effective for improving blood hemorheological characteristics, regulating blood viscosity, and enhancing the microcirculation of blood in the uterus for patients with dysmenorrhea. In summary Acupuncture plus Moxibustion has been proved once again to be an effective treatment for menstrual pain. 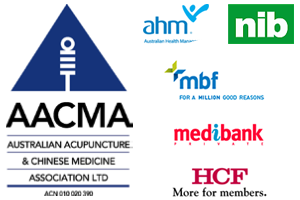 So next time you reach for medication , why not consider Acupuncture as a drug free alternative. Lu Y. (2014). Therapeutic Observation of Triple Acupuncture at Zhongji (CV 3) plus Mild Moxibustion for Primary Dysmenorrhea. Shanghai Journal of Acupuncture and Moxibustion. 33(7).